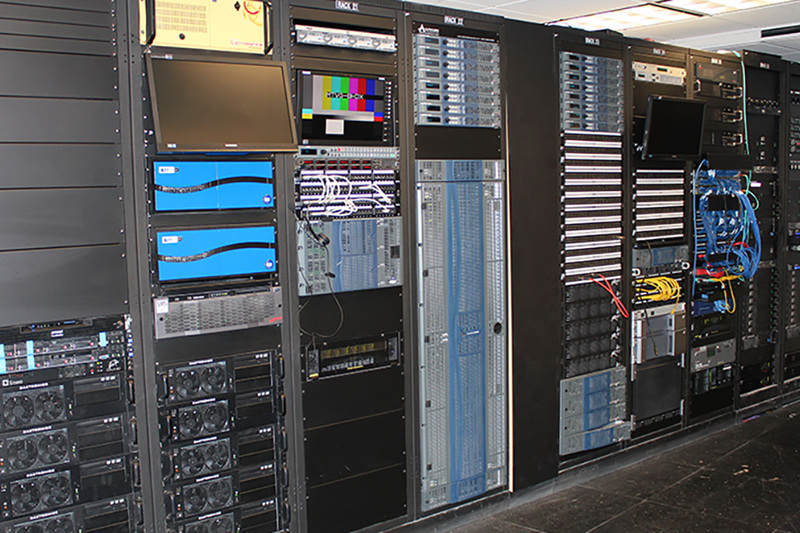 Alpha Video Sports was awarded the contract to integrate the control room that powers the ballpark’s LED, LCD, and IPTV signage in July 2011 and, since then, has worked to transform Marlins Park into a high-tech entertainment experience. The Marlins really view game day as an event that extends beyond the baseball game. The baseball game is the primary focus, but there are also a lot of events happening in the ballpark to keep fans engaged. The Marlins view Marlins Park more as an entertainment destination than just a ballpark - Jeff Volk, director, Alpha Video Sports & Entertainment. Marlins Park is outfitted with 14 Daktronics LED displays, anchored by a 101- x 51-ft. display in right center field, 935- x 3.5-ft. LED ribbon board, and 96- x 10-ft. field-level out-of-town scoreboard. More than 700 Sony TVs paired with Enseo HD3000 set-top boxes constitute the Marlins’ IPTV network, while two 32-inch Sunbright monitors flank each of the team’s high-end suites. 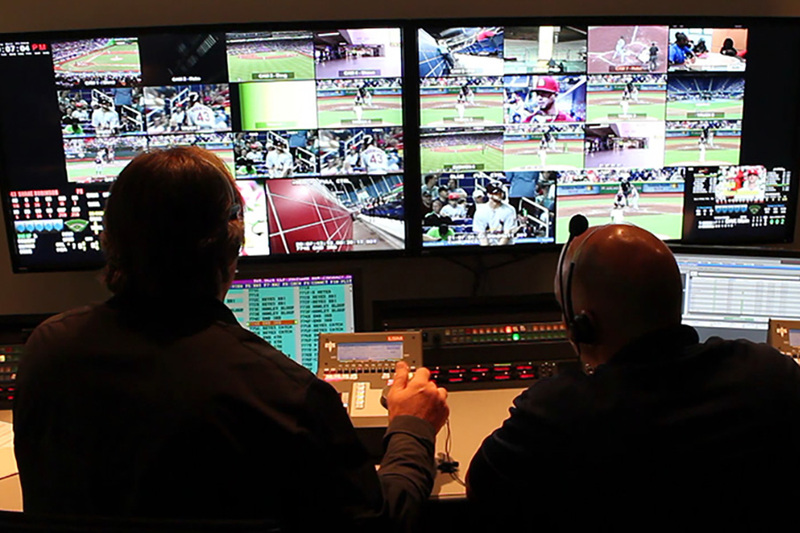 With the need to power content to so many screens throughout the venue, it’s hardly surprising that the Marlins’ video-control room is not actually a single room but multiple spaces dedicated to scoreboard production, machines and equipment, in-game editing, postproduction, storage, and offices. 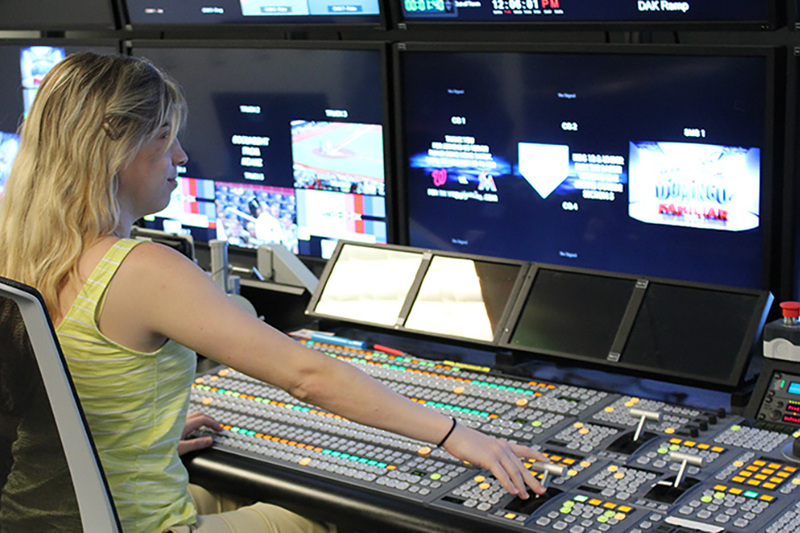 The main production area, located on the third-base side of press level, contains a Sony MVS-7000 production switcher, an eight-channel EVS system, a Click Effects Crossfire system, and Harris video, audio, and data-routing technology. In-stadium video is captured by a complement of Sony HD wired and wireless cameras and in-stadium communications are facilitated by a Riedel intercom system. Two Avid edit suites are housed in a separate area, where editors can create in-game highlight packages. An equipment room stores processing equipment and the signal cabling that connects the main production room to various wired-camera locations throughout the stadium. Across the hallway, the Marlins have included an engineering office, a third edit suite, and sound booth.